It’s impossible... said pride. It’s risky... said experience. It’s pointless... said reason. 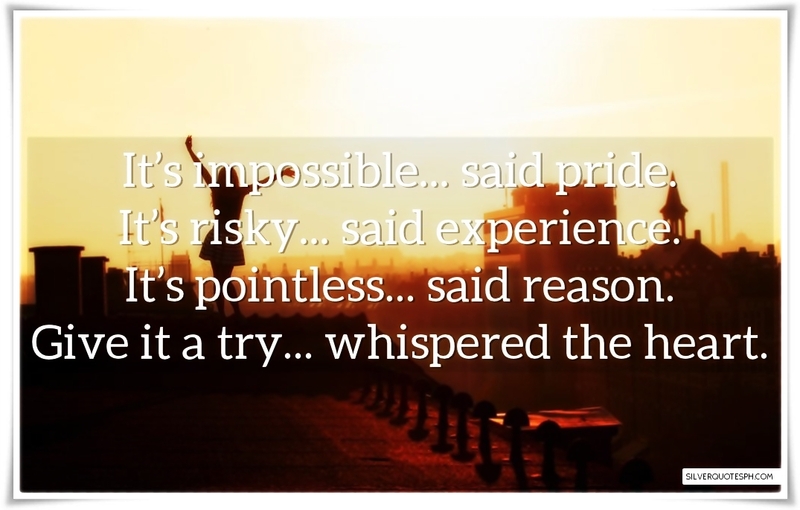 Give it a try... whispered the heart.